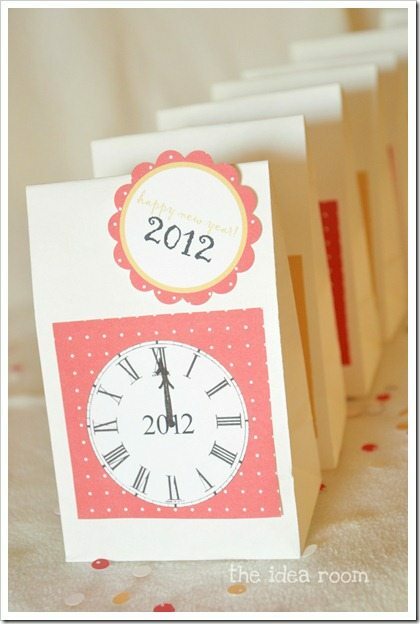 I have been pinning up a storm lately of New Year’s Party Ideas on my Ring in the New Year Pinboard. (Check it out HERE.) Glitter, gold, sequins and, confetti as far as the eye can see!! Oh, except that I won’t be attending any adult parties since my husband will be working, so I will probably be in yoga pants and a baggy t-shirt instead of a tulle skirt with magnificently glittery heels. Such is life! 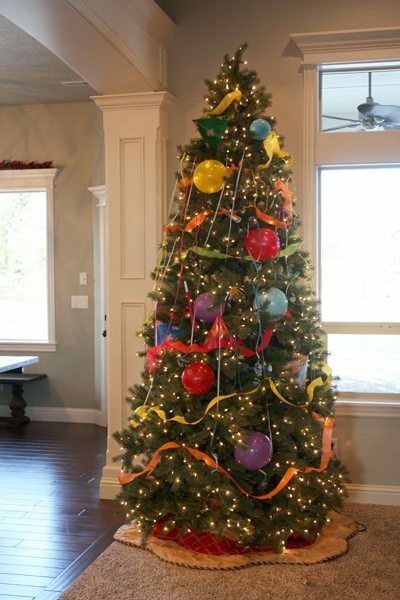 However, as we have established, holidays are best in my mind when there are kids involved anyway, so since my husband will be working a 24 hour shift at the hospital (he is a surgical resident) I decided that I should put together a fun night for the kids and me with all of these New Year’s Eve Party Ideas. Maybe my dad will join us if he decides to come home at a decent hour. (We are living with him to save $$$, but he’s a worker bee and not around much.) 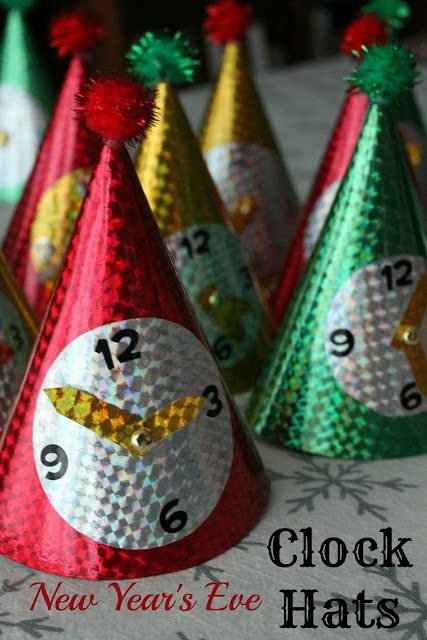 I will be keeping things simple, but after gathering up all of these fun New Year’s Eve Party Ideas I am excited! After all, I only intended to round up ten ideas, so……yeah. What can I say?! I LOVE HOLIDAYS!! Now let’s get some ideas flowing! 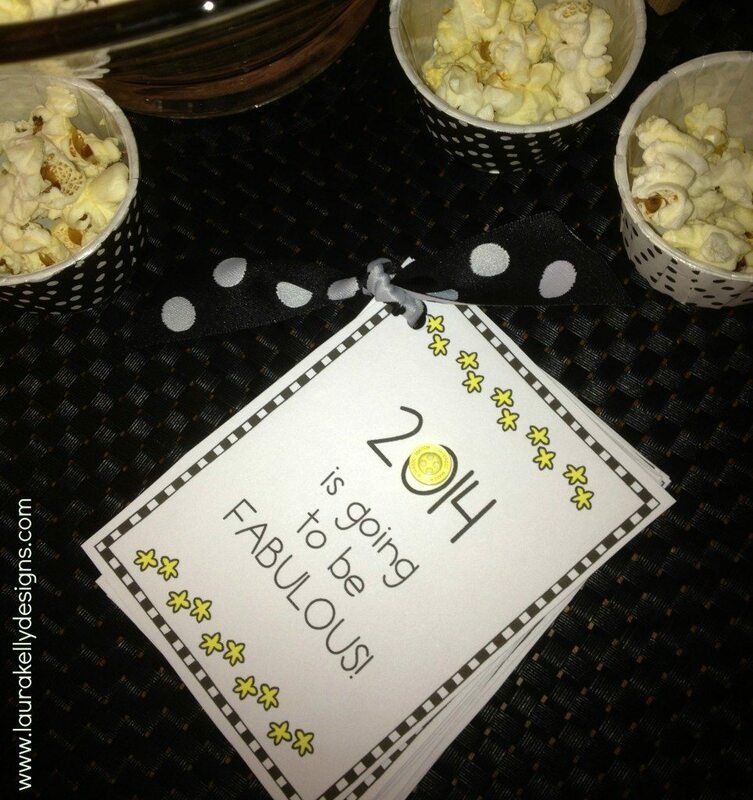 Party Popcorn from Bombshell Bling is a perfect kid treat for ANY party! 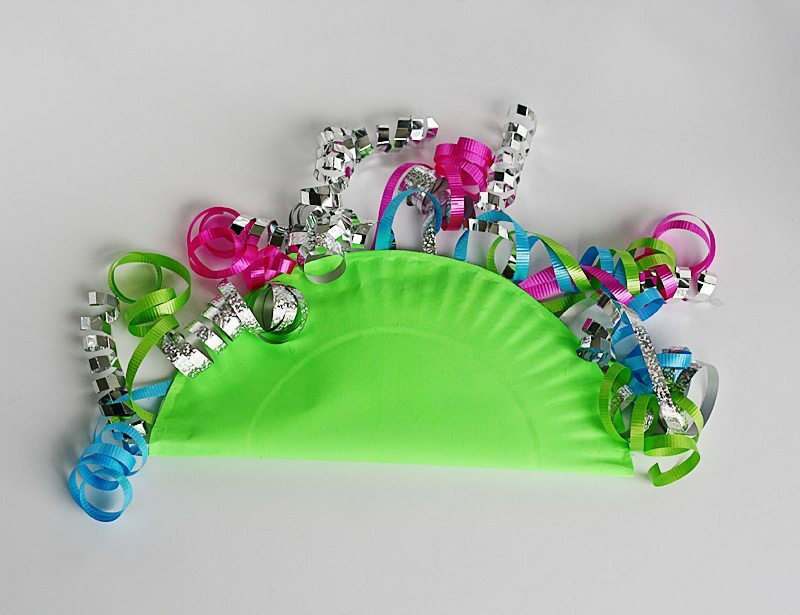 Work together to make Edible Party Horns using this fun idea from Cooking With My Kid. 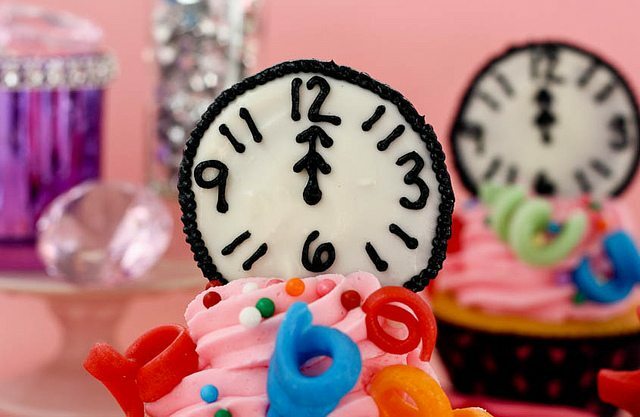 These New Year’s Eve Countdown Cupcakes from Confessions of a Cookbook Queen are simply exquisite. 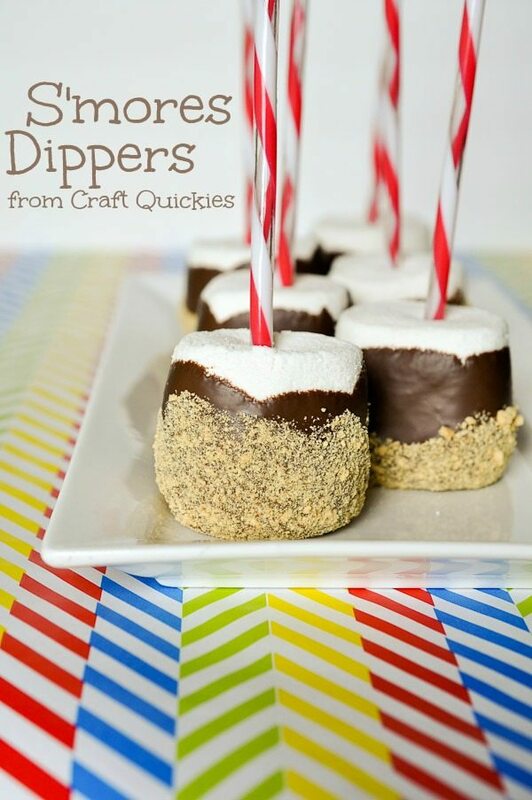 S’mores Dippers from Bombshell Bling are always a hit with the kiddos. Can’t go wrong with jumbo marshmallows dipped in chocolate! What is more popular with kids than pizza?? 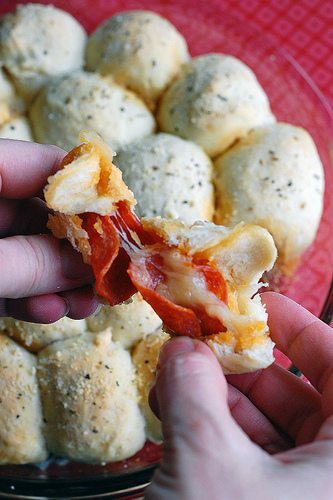 Pizza Bites from Seeded at the Table are the perfect finger food for a kid-friendly party! 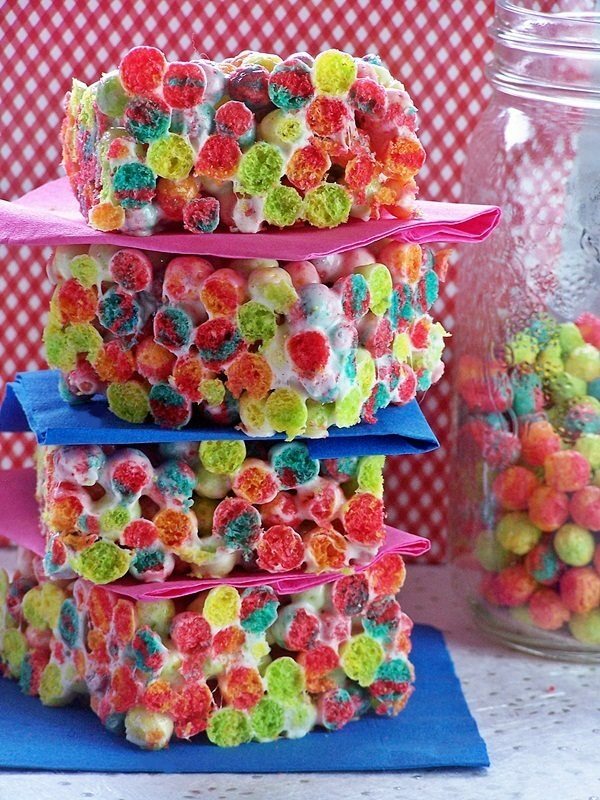 These Trix Krispies from Cravings of a Lunatic may just be the perfect colorful kid party treat, don’t you think? 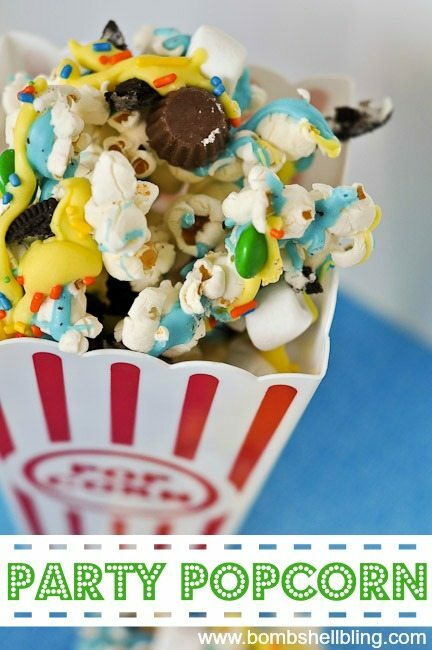 They will really pop on the refreshment table along with the other New Year’s Party Ideas in this post! All kids love quesadillas, right? 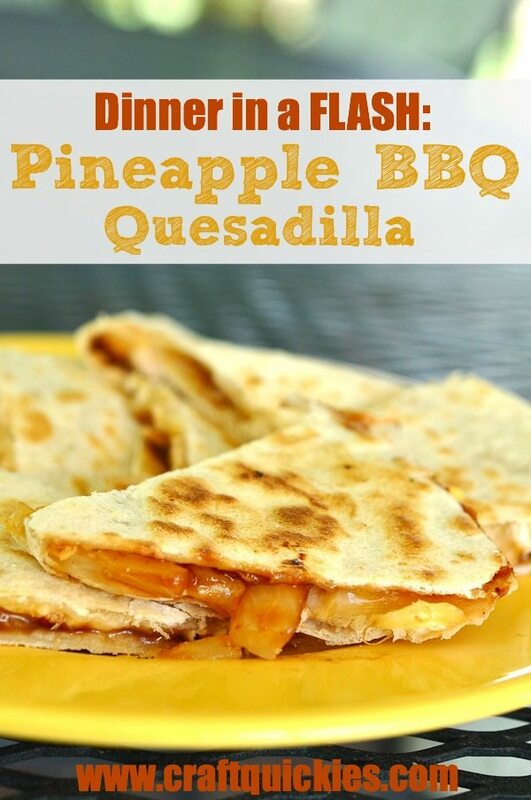 This twist on the traditional quesadilla from Bombshell Bling is sure to be a hit: Pineapple BBQ Quesadillas. 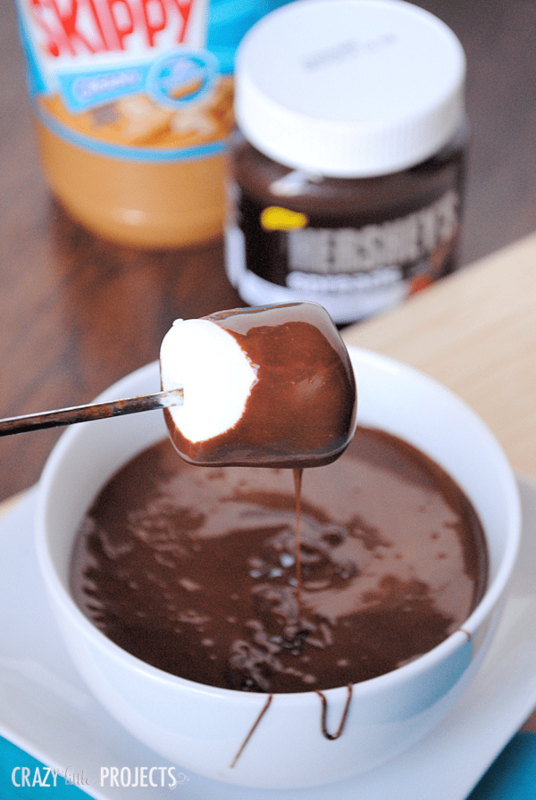 Doesn’t this Chocolate Peanut Butter Fondue from Crazy Little Projects look ah-MAZ-ing?! Yum yum YUM! 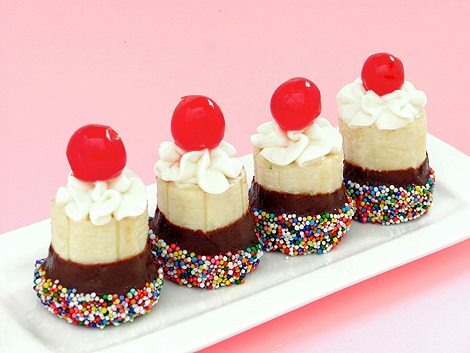 Banana Split Bites from Bakers Royale are so cute and colorful! 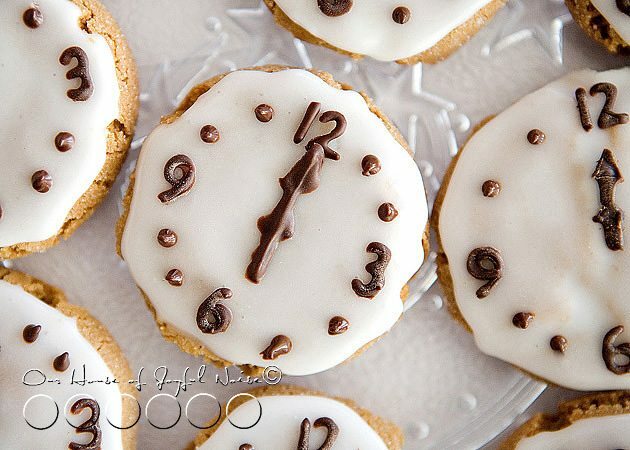 These festive Clock Cookies are perfect for a New Year’s Eve party! Find the recipe and tutorial on House of Joyful Noise. 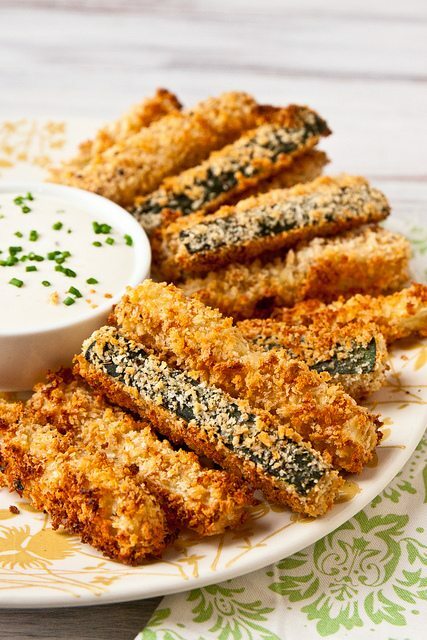 Sneak some veggies into the party with these Crispy Baked Zucchini Fries from Foodie Bride. Make the traditional party cheese ball more kid friendly with this unique version: M&M Apple Caramel Cheese Ball from Will Cook for Smiles. 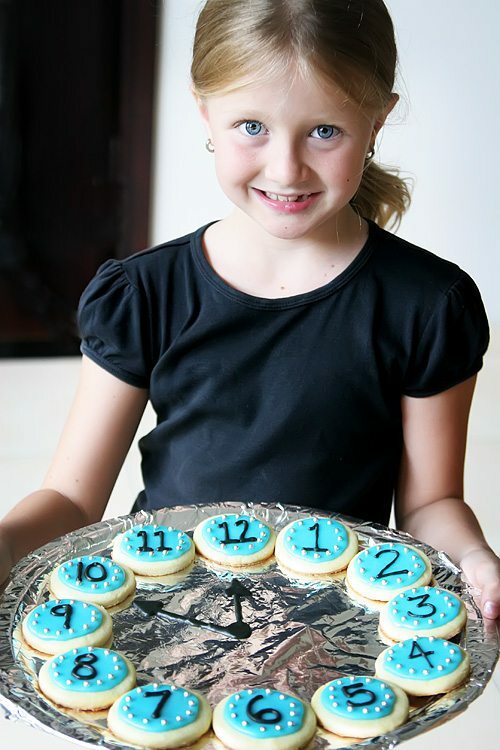 Have a ball crafting with your little ones by making these New Year’s Countdown Clocks from Spoonful. Here’s another version of that concept. 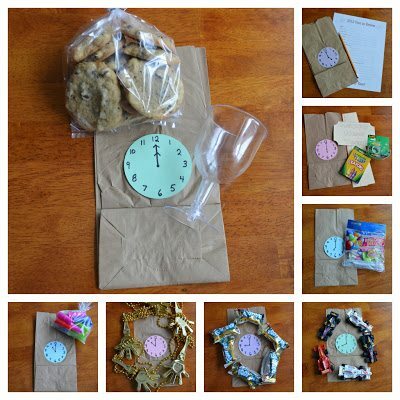 I love these bags of hour by hour activities from Easy Coast Mommy. 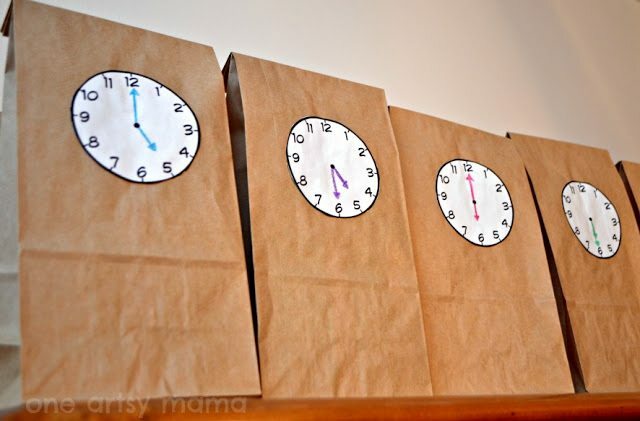 Here is a version of the countdown bags for the slightly older child, complete with lovely printable from The Idea Room. Set up a silly fun photo booth with these amazing photo booth printable props from I Heart Naptime. CRAZY cute! 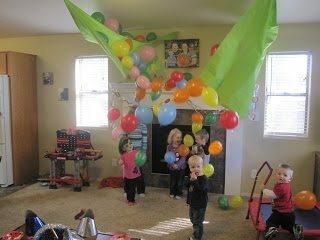 How about a DIY Balloon Drop from Been There, Pinned That?! 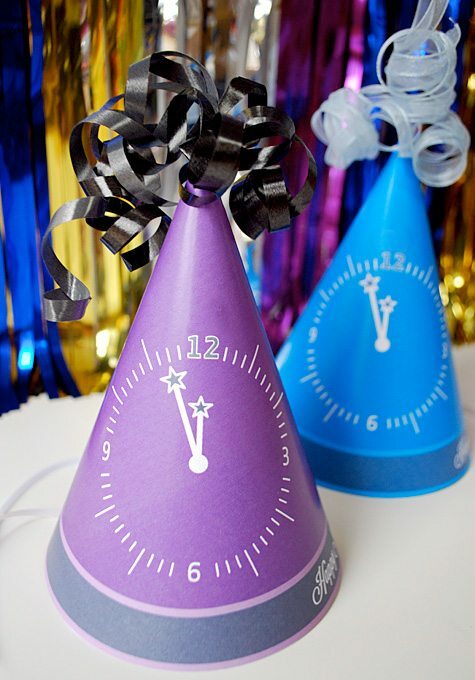 Make these fabulous Clock Hats from Reading Confetti. They are cute, festive, and cheap to make! 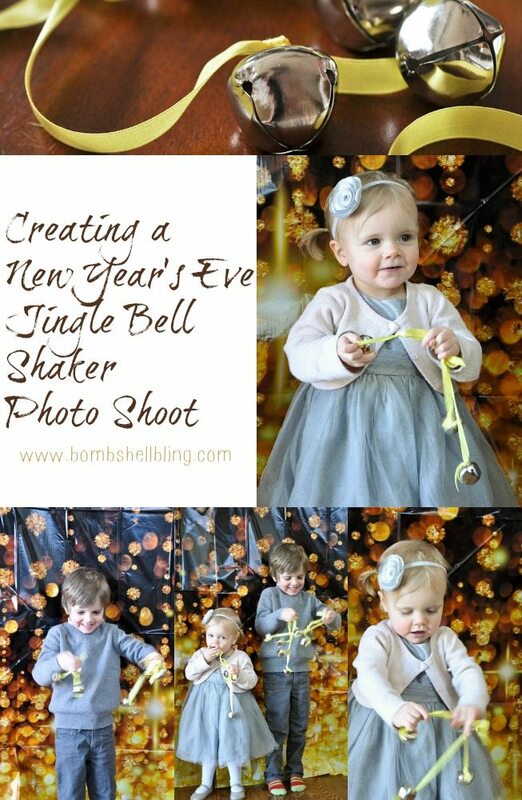 Create these Jingle Bell Shakers and have a photo shoot with THIS post from Bombshell Bling! 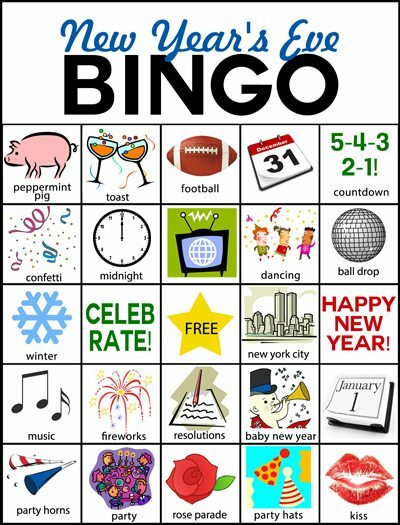 Have a ball playing NYE Bingo with this free printable from Plucky Momo. 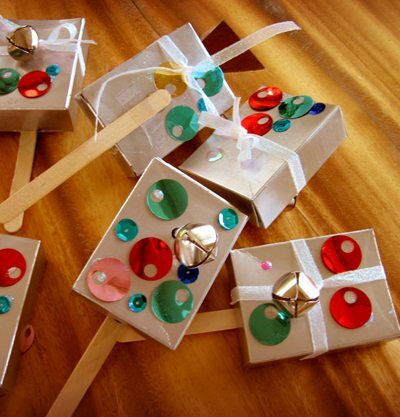 Make some noise with these New Year’s Noise Makers from Alpha Mom. 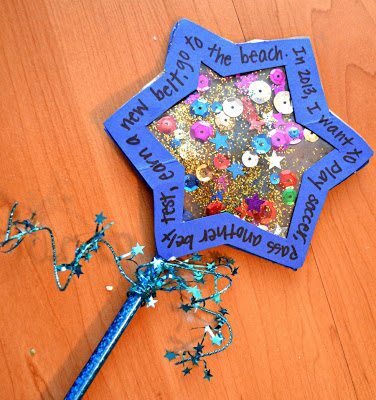 Make a “Wishing Wand” with each kid’s goals and dreams for the upcoming year written on it. I love this idea from One Artsy Mama! 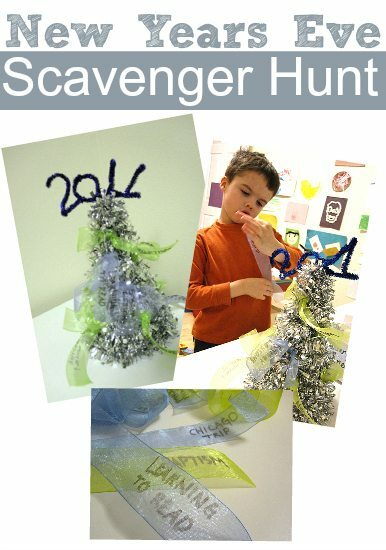 Do a family New Year’s Eve Scavenger Hunt like this one from No Time for Flashcards. Such a fun and simple way to reminisce! 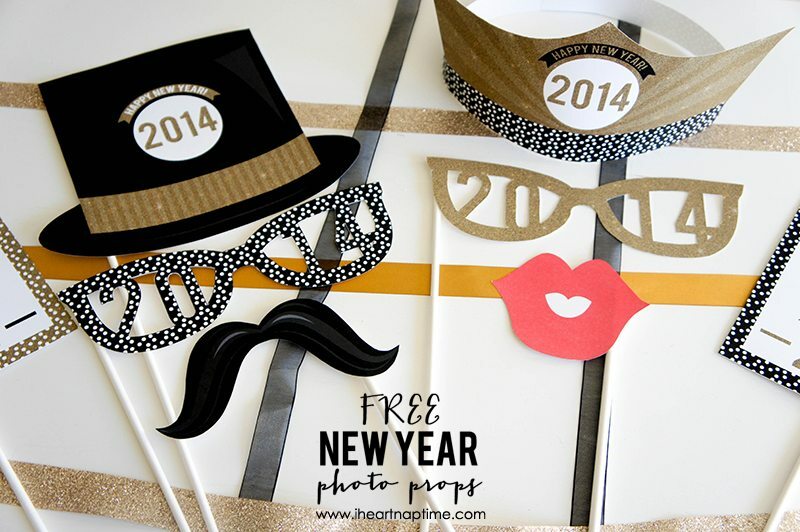 This DIY New Year’s Eve Photo Book from No Time for Flashcards is a fun tradition to do together year after year. 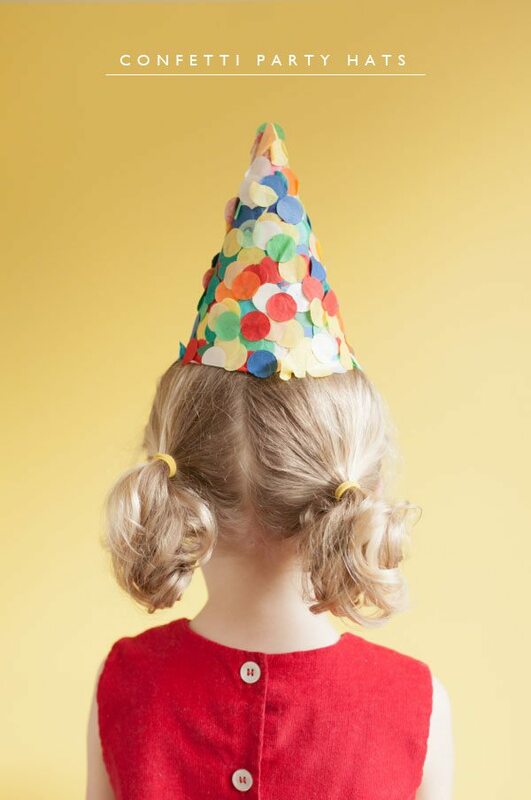 I love this idea from Oh Happy Day for colorful Confetti Party Hats! Great for birthdays too! 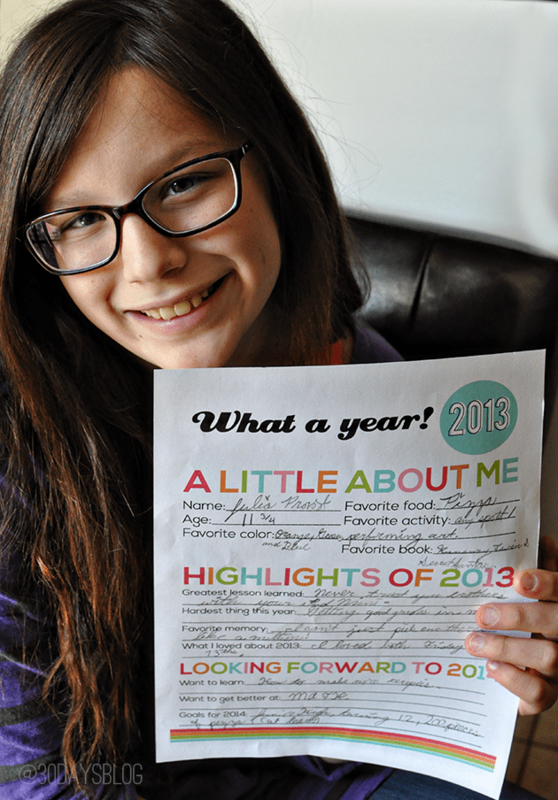 Help your kids make their own Resolution Booklet using these free printable from Laura Kelly’s Inklings. 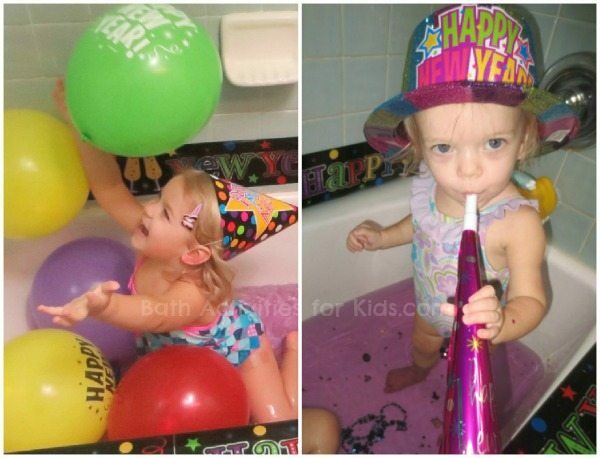 My kids would LOVE this idea from Bath Activities for Kids for a New Year’s Eve Bath. LOVE! 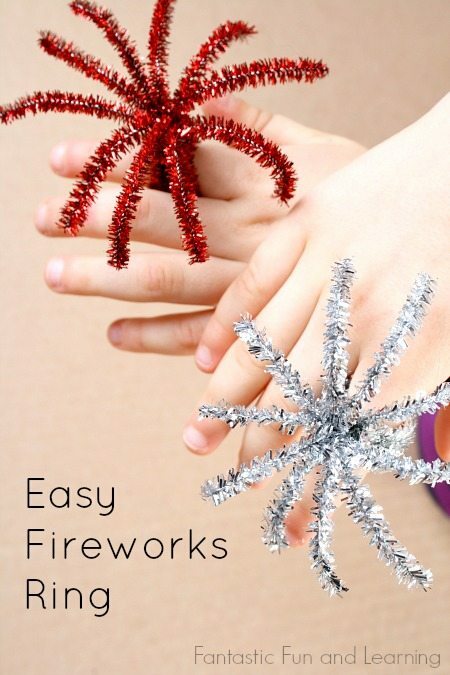 These Fireworks Rings are sure to be a HUGE hit with my sassy little lady! Tutorial on Fantastic Fun and Learning. 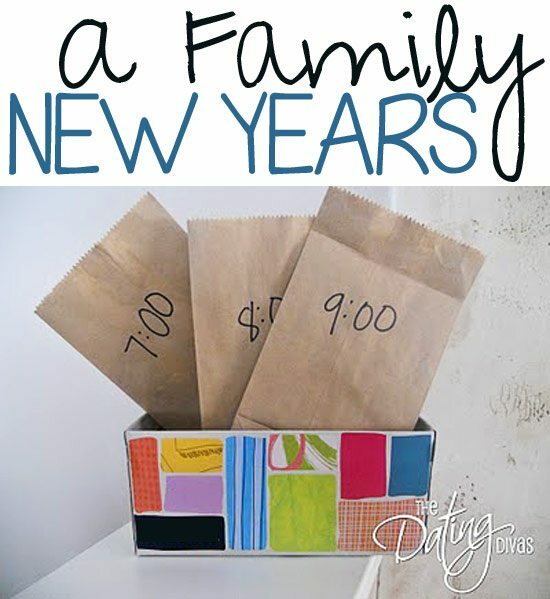 This post about a Family New Year’s Countdown Box from The Dating Divas is chock full of fun ideas! 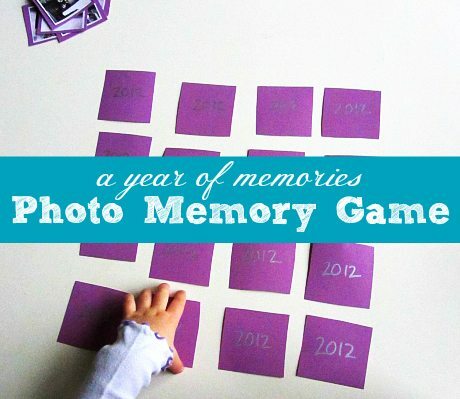 I am obsessed with this idea: a simple New Year’s Memory Game for kids with No Time for Flashcards. I know my kids will LOVE this! 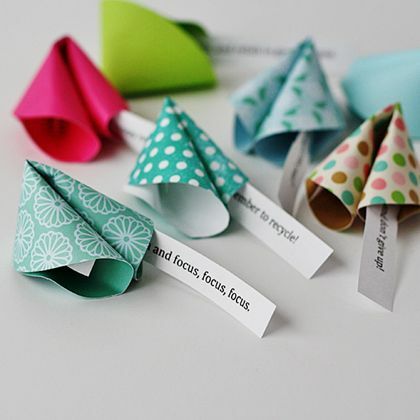 These colorful and cute paper New Year Fortune Cookies from Spoonful would be perfect sitting at each place setting, especially since they are customizable to each person at your party! I love this colorful printable New Year’s Resolution sheet for kiddos from the brilliant Mique at 30 Handmade Days. 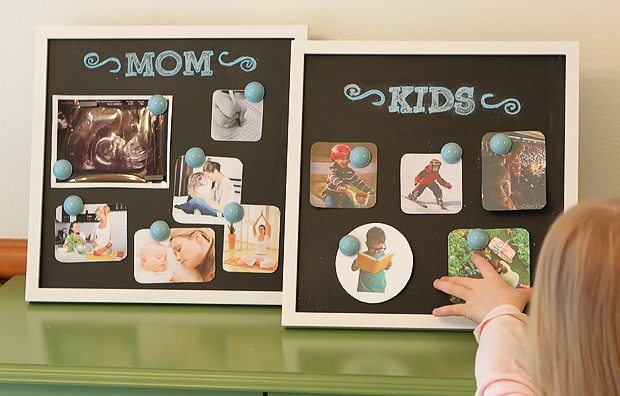 Another fun idea is to make family vision boards together! I love this, and it would make such fun and unique wall decor all year through! 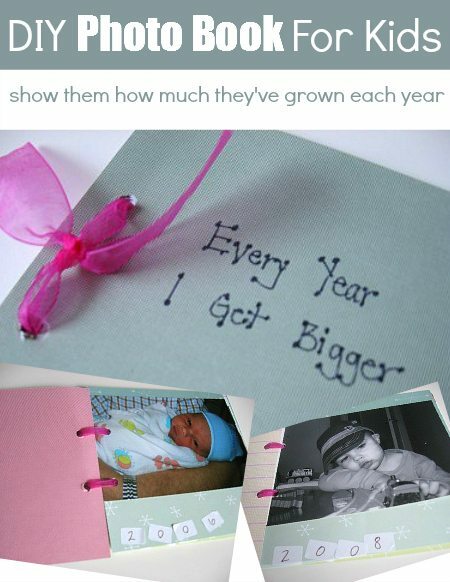 Such a great idea from eHow mom. If you are the type of organized and sentimental mama who has all of your kids’ artwork saved nicely (I’m afraid to say I’m not really that kind of mom….) 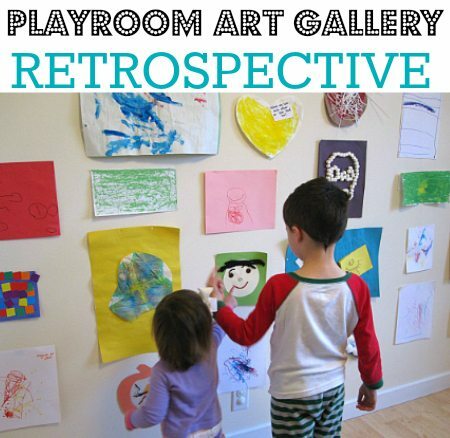 then this Playroom Art Gallery Retrospective from No Time for Flashcards will be perfect for you! 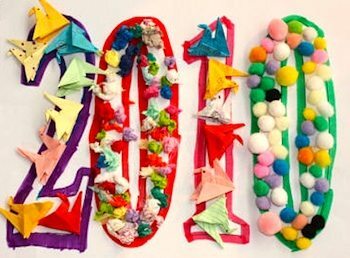 No New Year’s Eve party is complete without the appropriate attire, of course, so you may need to print out these cute and colorful New Year’s hats from Merriment Designs. Or, if you’re more of a chalkboard kind of family then you may like these New Year’s crowns and hats from SNAP Creativity. 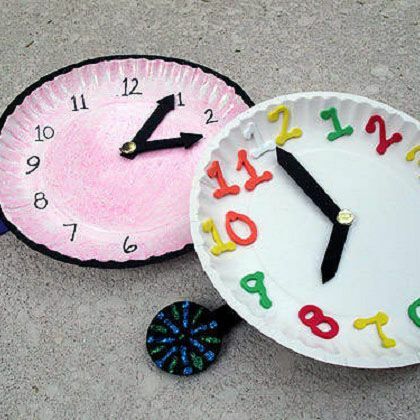 These colorful Paper Plate Noise Makers from Kix Cereal are super cute and look very simple to make, especially with slightly older kids. Ok, I am seriously OBSESSED with this last New Year’s Eve party idea, but MAN OH MAN does it seem like a lot of work! I think I am too lazy to ever actually execute it. Here is the New Year’s Day Tree from Our Best Bites. I love every single thing on this list. I would love to do that tree, how cool is that? I wish I had the energy to make that happen this year. You’re welcome! I have made them and LOVED them! Wonderful round up! Thanks for including the pizza bites. 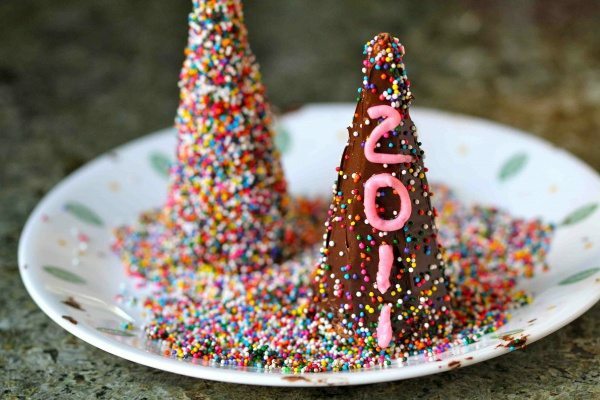 We’re actually making them this year for New Years! I’m eyeing the activity ideas you have here, too! I just love these ideas! 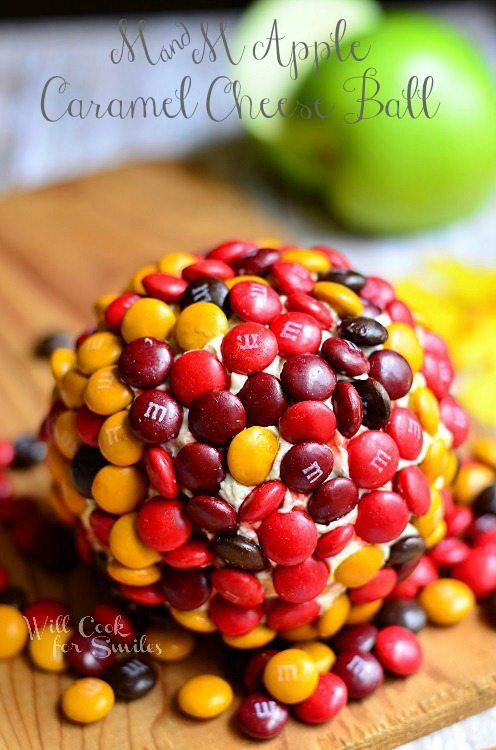 I have to try this M & M apple caramel cheese ball. Loving all these ideas! Thanks for including two of mine!